Cooking with Asmena Pankanea makes me want to go to India. She seasons her dishes with stories of the people of that country and how they live. Of kichri, a combination of white rice and split mung beans cooked almost to mush, she says, “This is a comfort food. In India, it is given to babies and older people with clarified butter or yogurt.” She says this as she is flavoring the cooking oil for brown rice and whole mung beans (a variation of kichri) by tossing into the already heating vegetable oil some whole cumin seeds. 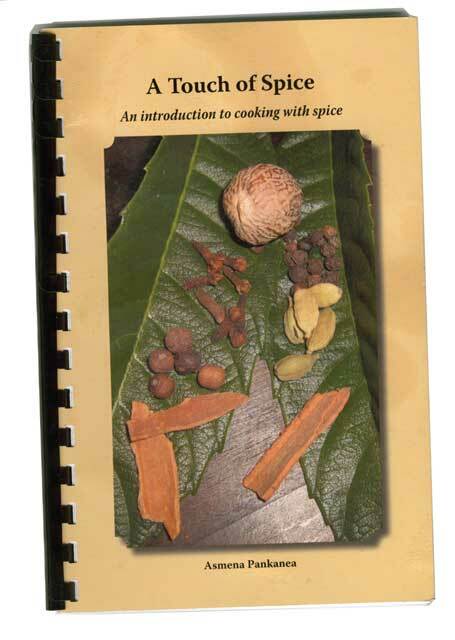 The cumin seeds sizzle and the aroma filling the kitchen is that of exotic spices. I find this desire to go to India as I cook with Asmena a little surprising, as Asmena was born and raised in Kenya, East Africa, as were her parents and one of her grandparents. Her heritage from northern India, though, is strong, not only in her own family, but also in the family of her husband. Asmena credits her mother-in-law, a vegetarian throughout her ongoing long life, with teaching her to cook vegetarian dishes that produce complete proteins through the use of specific ingredients. The brown rice and whole mung beans that we are cooking, Asmena says, “is an example of creating a balanced, healthy meal” in this way. 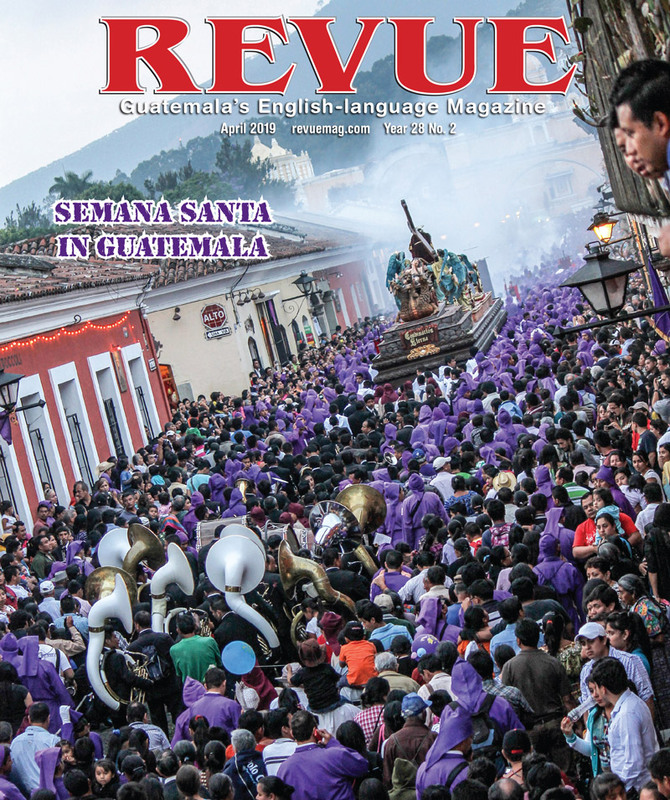 It was Kenya, her birthplace, that Asmena recognized in Guatemala. On her first trip here, which was to last three months and to date has lasted five years, she was struck by the similarities between the two countries. The climate; the friendliness of the people; the markets full of fresh vegetables throughout the year; the rural areas where corn and beans are often the crops: All of these reminded Asmena of Kenya. She felt a sense of home in Guatemala. 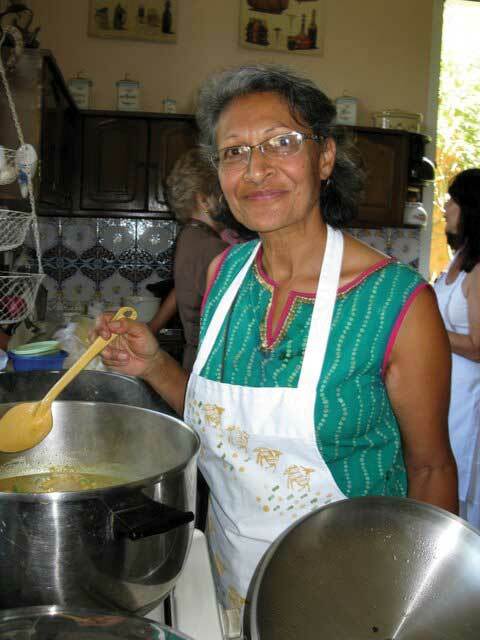 Many of the spices that Asmena uses in her cooking are grown in Guatemala but rarely used in indigenous cooking. 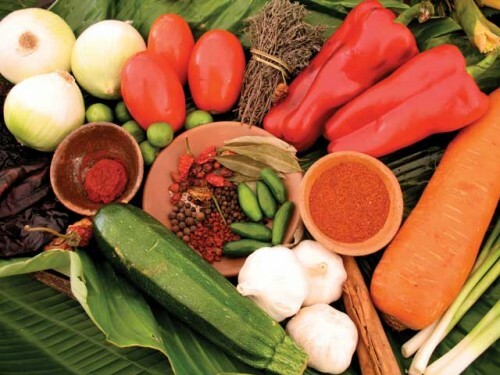 One of Asmena’s goals is to provide a guide for the use of these spices in Guatemalan foods. For that reason, she first wrote her cookbook, A Touch of Spice: An introduction to cooking with spice, in Spanish. She has now rewritten it in English for those of us who are not as fluent in Spanish as we would like to be. 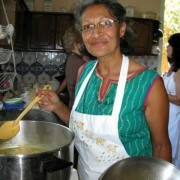 In addition to her cookbook, Asmena gives cooking classes, which is how I was fortunate enough to be cooking with her. She also sells curry powders and spice blends, which the food enthusiast can mix from individual spices. The recipes are in A Touch of Spice. I was in a hurry to get to the eating part of this process, so I bought several blends: madras curry powder, vegetable curry powder and garam masala, as well as chai tea spice. Madras curry powder is a blend of spices such as mustard seeds, fenugreek, cumin, coriander seeds, chili, curry leaves, turmeric, yellow split peas and black pepper. It is used for meat or vegetable curries. Vegetable curry powder, which enhances the flavor of vegetables, includes such spices as cumin, coriander seeds, black pepper, cinnamon, cloves and turmeric. Garam masala is a blend of the more fragrant spices such as cinnamon, cloves, nutmeg, cardamom, cumin and black pepper. It is used for rice, dahls and lentils. 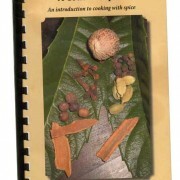 A Touch of Spice may be obtained by contacting Asmena at indian-curry@hotmail.com. 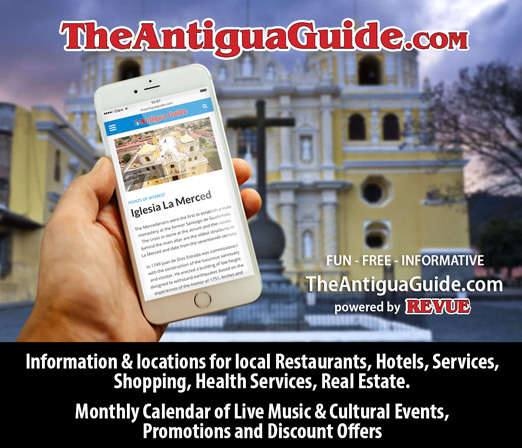 Information regarding cooking classes, as well as curry powders and spice blends, may also be obtained at this e-mail address. The following recipes are two of my favorites from A Touch of Spice.